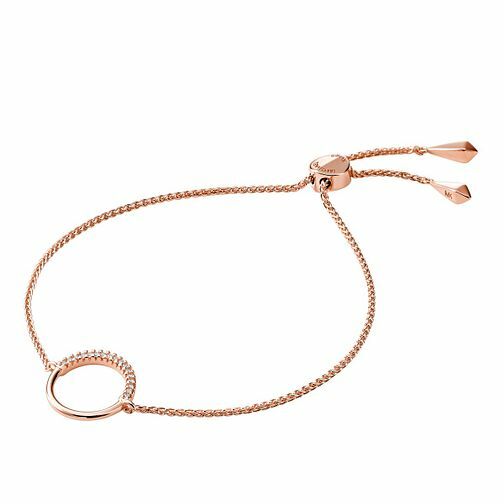 A smart and chic accessory by Michael Kors, this bracelet is crafted with a rose gold plated fine chain and features a slider clasp to ensure a comfortable and secure fit around the wrist. A polished open rose gold plated circle sits upon the chain, with a half crescent of shimmering cubic zirconias. A classic bracelet to compliment any outfit.